With health, comes great responsibility. At least, we’re pretty sure that’s what Uncle Ben meant to say to Spider Man in that pivotal scene within the illustrious Spider Man franchise. Regardless, all’s fair in love and avocados. Monosaturated (or good) fat that is! Research shows that a diet high in monosaturated fats has been shown to reduce the risk of cardiovascular disease and hypertension. It forms a healthy protective layer around our organs and helps to regulate our hormones. Plus it’s a wonder for your skin, hair and nails when eaten 2-3 per week (think, the Mediterranean diet). Avocados are filled with soluble and insoluble fibre, meaning happy gut bacterial flora = happy tum! Fibre helps to assist digestion, regulate blood glucose levels, and lower cholesterol, and leaves you feeling full for longer. Avocados aren’t called nature’s butter for nothing. They spread on easily and are a much healthier alternative to your traditional margarine and mayonnaise! They also absorb fat-soluble vitamins such as A, D, E, K and help you to reach your daily potassium and magnesium levels. That’s right – avocados are not just for eating. 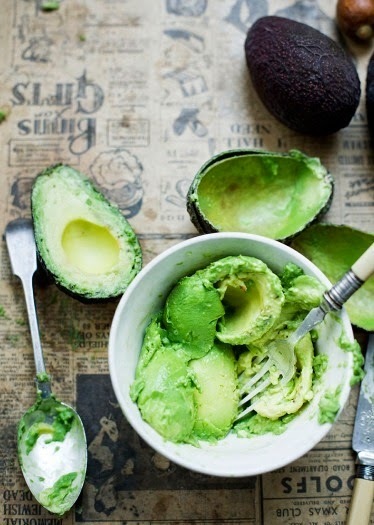 In fact, due to their rich source of antioxidants and good fats, avocados make a great nourishing face mask. Who knew the secret for smooth, soft skin and great health was sitting right in your very kitchen! 1. Hold the avocado securely in one hand. 2. Beginning at the narrow end, slowly and carefully slice lengthways through the centre all the way around. 3. Use both hands to gently twist the two segments apart. 4. Use a spoon to remove the seed and dispose of. So how do you eat your avocado? Let us know!